Egypt Sand Splitstone is a rich combination of naturally vibrant colours. Slate grey’s with a heavy influence of sunset gold and rusty brown colourings, hints of green do flick through occasionally. 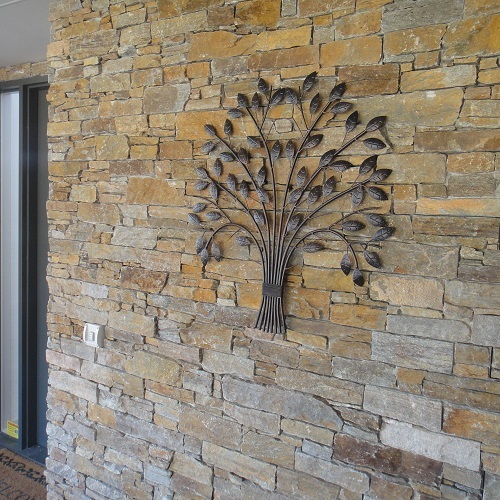 This stone is perfect feature for a more intense display, these colours are well suited for the Queensland landscape offset next to a beautiful Queenslander would be spectacular.